pt Health is a Great Place to Work! We’re officially a great place to work! We spend a lot of time talking about all the amazing people that make pt Health so great in our clinician spotlights, but today it’s official! 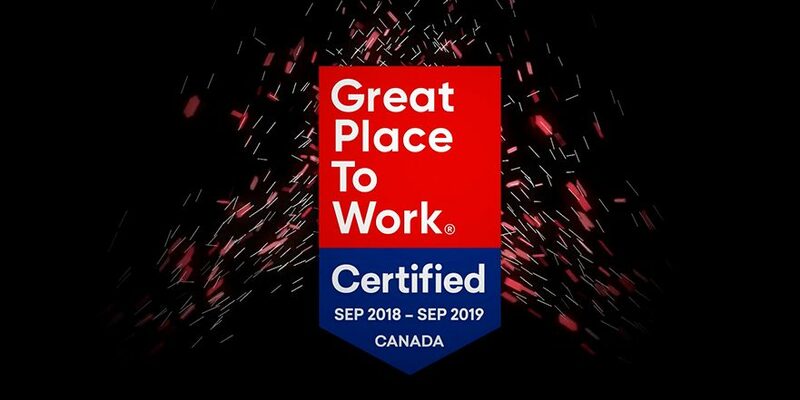 We have been certified as a Great Place to Work through the Great Place to Work Institute Canada! It should come as no surprise that, as a healthcare company, it’s vital to us that our employees are as happy as our patients. Without all our fantastic team members from coast to coast, we wouldn’t be what we are today. So, we’d like to take a moment to thank each and every pt Healther for going all hands in, learning and inspiring, going the extra mile and continuing to be open and honest. Learn more about the benefits of joining the pt Health team here.